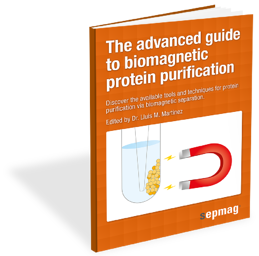 Protein purification is a common and necessary procedure for both research and production processes. While there are some classical and well-tested methods, such as affinity chromatography, some leading life sciences companies have developed techniques and products suitable for purification with biomagnetic separators. This is a great opportunity to know where the development of new products for protein purification is currently aiming to.